Welcome to the website of World School, Oman, one of the premier international schools in the Sultanate.We believe every child is special. Different abilities, different dreams, different aspirations. Every child is unique. Therefore for their development, we thought about a different approach and process and the outcome is World School. Growth is natural, Development is optional. The warmth of this school is apparent the moment you walk in, as is the energy. Our campus is seldom quiet, because our children and teachers are actively learning with enthusiasm. The engagement of the children is obvious; learning is a joyful experience which is energetically pursued.In a normal school you are taught and you study,but we educate and you experience & learn. Our children learn together, because research teaches us that a collaborative environment is the most fertile one for learning to grow. We are a happy, international learning community, flourishing in an extraordinary facility which is unique to the country. Our facilities and resources are outstanding because we believe children are very important. Our international and local teachers are skilled and dedicated because they understand how important children are. World School is KG 1 – Class 7 school, which began in August 2012. 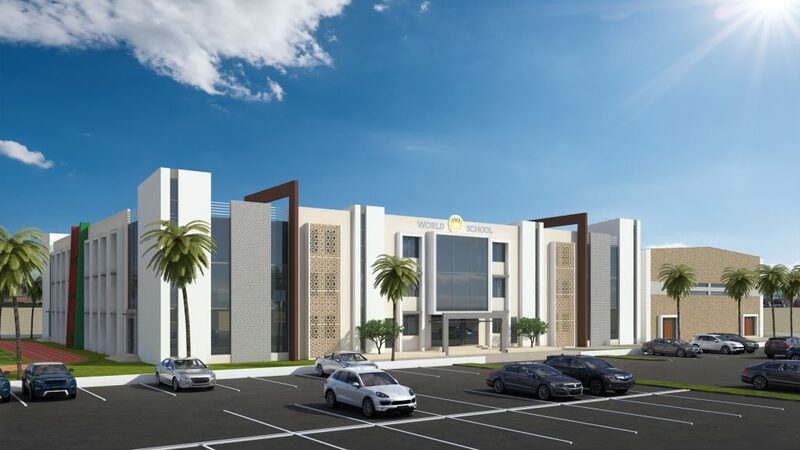 World School is an initiative of International Training and Educational Services (ITES) Oman through Global Training LLC, a name that has been associated with quality education programmers in Oman and having the technical tie-up with the Legendary Educational group – BIRLA PUBLIC SCHOOL. Our aim is to provide world-class education focusing on the holistic development of young learners. Global Training LLC with its local expertise and Birla Public School with its long years of professionalism in Quality Education – are jointly committed to etch a new era in the arena of International School Education by molding a new generation of young leaders and achievers. We received the accreditation from the CIE for the Cambridge Primary on May 19, 2014. Knowledge, Values, Passion and Transformation are the core values which the School decided to adopt as a part of its identity.